Welcoming Deaf Plus crew in MIH Kitchen! Funky times and full house again in Made In Hackney Kitchen! 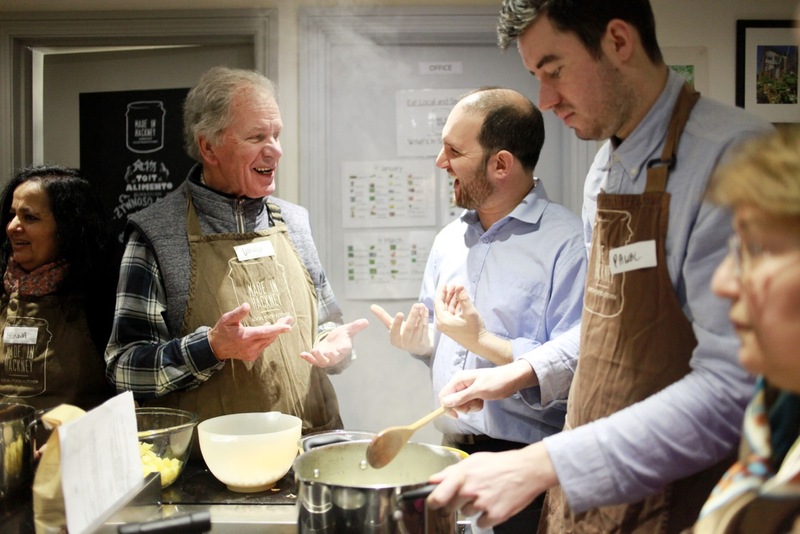 Last Tuesday, we welcomed members of Deaf Plus for some serious cooking, making Cheeky Chickpea Pancakes and Trini-Curry in a Hurry with a Tangy Tamarind Sauce. Led by our fab teacher Jayne Totty and helped by lovely new apprentice Anne, it was a successful first time for everyone! Let's hope we'll have many more to come! Happy days!